Imperial Stout, sometimes called Imperial Russian Stout has a reputation as the bad boy of the beer world. First brewed in London back in the late eighteenth and early nineteenth century for the Russian court, it is high in alcohol – up to 12%, and coming down with dark flavours. Think roast chocolate, coffee and roasted malt. Imperial can be dry or sweet, intense or medium-bodied, it can be flavoured with extra hops, milk chocolate, coffee, liquorice, sea salt, spices, extra malt, or even chili. The use of oats in stout is fairly common. It adds a smooth texture to the beer. The White Hag Imperial Oatmeal Stout was launched at the Craft Beer Fest in 2014, where it won the fan’s favourite award. It went on to become Beoir’s Best Stout in Ireland in 2015 and runner up for Beer of the Year 2015. This, it hardly needs saying, is not a session beer. Big (10.2% but never burns), bold and full of roasted barley and dark chocolate, with a lovely smooth texture, this demands careful contemplation on cold winter nights. White Hag will release a special version of the Imperial Stout for Christmas. Aged in whiskey casks and available in a 75cl bottle. One to leave out for Santa perhaps? 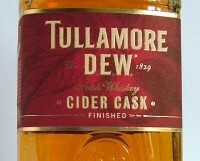 Irish whiskey was once held in higher esteem than its rivals over the water in Scotland and the United States. Battered by a series of economic and political misfortunes, it went into a steep decline for most of the 20th century. The last decade has seen a dramatic rebirth, with a huge surge of interest from Ireland and overseas. Whereas the Scots are best-known for their single malt whisky, our unique specialty is single pot still whiskey. This distillation method gives almost all of our whiskies a distinctive flavour that sets them apart from their rivals elsewhere. Fionnán O’Connor, a postgraduate student in TCD, has an in-depth knowledge of all things related to whiskey and pot still whiskey in particular. A Glass Apart tells the long illustrious history of pot still whiskey, how it is produced, and most importantly what it tastes like. O’Connor takes the reader through all of the available Irish pot still whiskies, with comprehensive tasting notes on each. He takes an expert look on how to taste and enjoy whiskey, and profiles the personalities behind our national drink, including the distillers, the coopers, the blenders, and maturation experts. He provides an in-depth history of the craft in Ireland, covering many of the extinct distilleries in the towns and cities of Ireland. It is, as O’Connor says ‘an introduction and a love letter to the history, craft, and diversity of Ireland’s re-awoken firewater phoenix’. A Glass Apart is a lavish and comprehensive production, with excellent photography by Ove Grunnér. Published by Images Publishing it will be available in bookshops from next week. It is essential reading for anyone with an interest in our national spirit. Below O’Connor explains the history behind Power’s Whiskey – the old distillery is now the National College of Art & Design in Dublin. 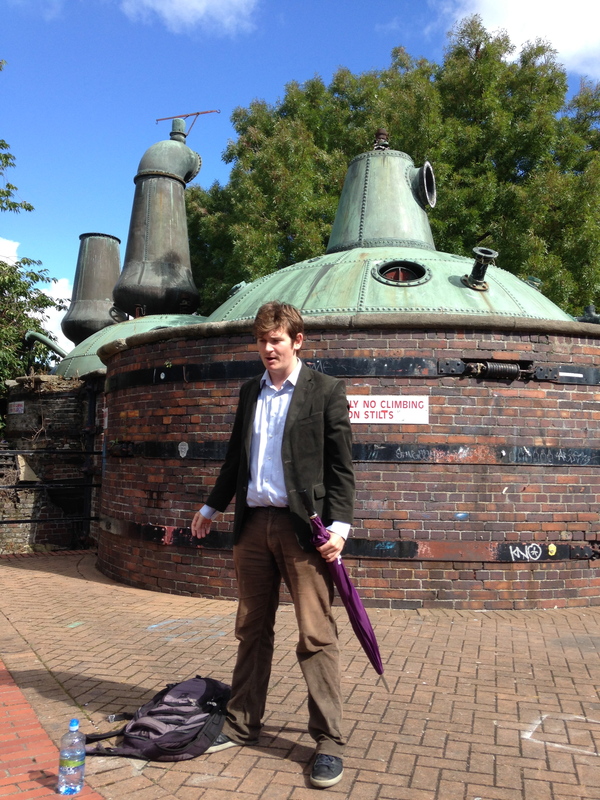 Behind him are the three giant copper stills. MescanI began hearing great things about the Mescan beers from friends in Westport, but Westport was the only place you could buy them. Eventually I made a trip down there and succeeded in trying out the Red Tripel. It was worth the wait. This is a delicious full-bodied beer with masses of rich malty caramel and peach fruits. At 8 per cent, it is definitely not a session beer, but I sipped my way slowly though a bottle while reading the Sunday papers. Cillián Ó Móraín and Bart Adams weren’t deliberately trying to create publicity through an artificial shortage; they both worked as vets (Adams has now given up and works full-time at brewing), and simply didn’t have the time or energy to make more beer. “After twenty years as vets, we were both looking for a new challenge or interest,” says Ó Móraín. The Red Tripel is matured for ten months before release, so managing demand is a nightmare. “We have to sell it sparingly because it will be a while before the next batch is ready,” he adds. Ó Móraín is from Dublin, Adams from Belgium. They both learned about Belgian beer from many visits to that country over the years, and decided to brew Belgian style beers in the shadow of Croagh Patrick – hence the mountain logo. The reek means a lot to both men. The water used in brewing is drawn from under the mountain. The year before they started, they made a weekly ascent together to plan the brewery. 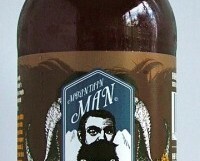 According to Ó Móraín, Mescan was a disciple of St Patrick and his personal brewer (we could all do with one of those). So, not easy to find, but worth the effort. The multiples swing into autumn mode once September comes, usually with a French wine sale. Lidl start theirs on September 7th; SuperValu next week on Thursday 3rd with over 100 wines on offer. I enjoyed two Bordeaux, the light, easy Ch Moulin Lafitte (€14) and the richer softly fruity Ch La Baronnerie (€12). But my wine this week comes from Cabardès in the Languedoc. I remember standing high up in the hills, in the stunning vineyards of Ch Lorgeril a few years back. From the south comes the warm Mediterranean sun, and from the north-east, the cooling Atlantic winds. This unique climate makes for wines with a certain elegance and freshness, despite being less than ten kilometres from the heat of Carcassonne. Nicolas and Miren de Lorgeril are the 10th generation of the family to have overseen the estate. Local noble Bernard de Pennautier built the impressive château back in 1620, during the reign of Louis XIII. It is available for hire for seminars, weddings and other events, and just a handy five kilometres from Carcassonne airport.The wine is soft and earthy, with some nice ripe cassis fruits. At €10, it is something of a bargain. Garrett Oliver hauled up at the Ballymaloe Litfest last weekend to take part in debates and promote the cause of craft beer. Articulate, witty and hugely knowledgeable, he is a formidable and persuasive speaker. 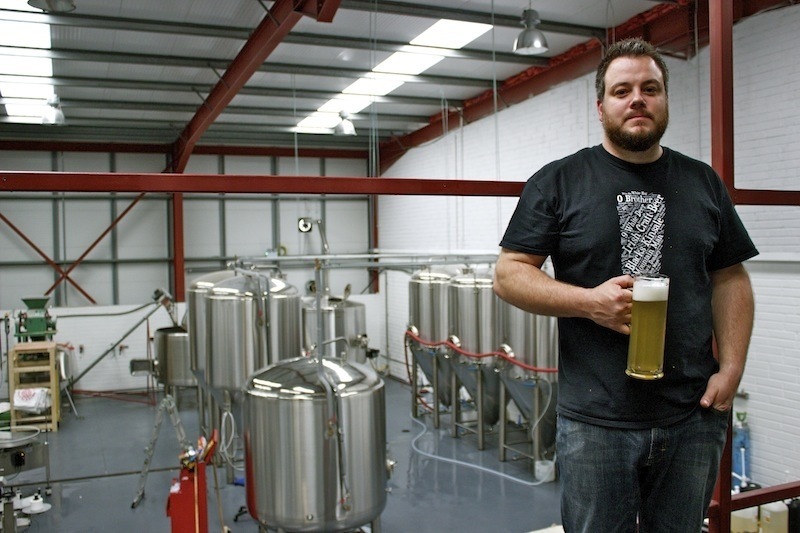 As well as writing the Oxford Beer Companion and The Brewmaster’s Table, he has been the driving force behind the Brooklyn Brewery, one of the most successful and innovative craft brewers in the US. In addition to their standard range, Brooklyn produces once-off highly experimental beers and seasonal releases. Oliver uses leftover lees from cider, spruce needles, myrtle, citrus peels, pepper, honey, bourbon casks, and a host of other ingredients to add flavour and complexity to the beers. He is a great believer in matching beer and food too. 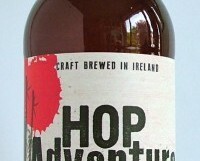 The Sorachi Ace hop was developed in Japan in the 1970s, a cross between a Czech and British hop. The beer has wonderful herby lemon zest aromas, a soft dry palate full of herby flavours. Unique and delicious. “It’s not about the hops. 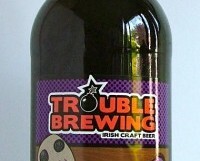 It is all about the malts”, says Paul O’Connor of Trouble Brewing. “We use six different kinds of malt in the brew alongside some flaked barley.” The Dark Arts beers always have enough flavour to please the beer nuts while still appealing to the rest of us. “Dark Arts was the second beer we did, six months after we started. It arrived fully-formed. We have never tweaked the recipe since that first batch. 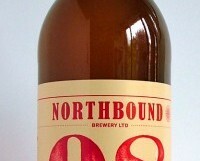 We intended it to be a one-off special but people raved about it and it quickly became our second core beer. It’s never been the best-selling beer (that would be the Deception Golden Ale) but we have always got great reviews.” This is great porter, one of my go-to beers when I need something to sip slowly on a midweek evening. Medium-bodied with chocolate and roasted coffee, and a light hoppy freshness. A few weeks back I wrote about the Sorachi Ace from the Brooklyn Brewery. If you haven’t tried it, I suggest you seek it out straight away. While you are doing that, keep an eye out for the O’Hara’s Hop Adventure Series Sorachi Ace. The Carlow brewers have released their version, the first in a series of beers featuring specially selected hops from around the globe. Sorachi Ace came about back in the 1980s, when a Japanese company crossed a Czech hop with one from England; the resulting hybrid added unique flavours of dill, lemongrass and lemon to a beer. The O’Hara’s Sorachi Ace is a very delicious summery light-bodied beer with lemon verbena and dill on the nose and a lovely easy soft gently hoppy palate.